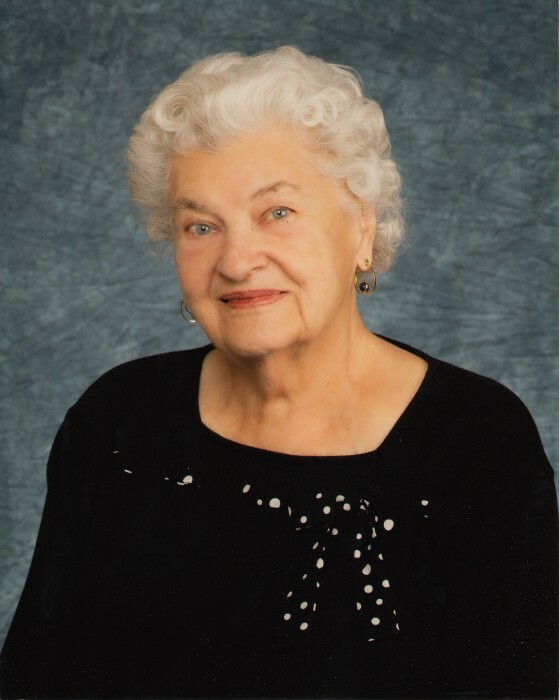 Bonnie, the oldest child of Ed and Edith Henik, was born in Yuma on April 7, 1924. She went to Hammond School and graduated from Yuma High School in 1942. She graduated from Central Business School in Denver and went to work for the H. J. Heinz Company as a secretary and billing clerk. Bonnie worked there for 4 years before returning to Yuma. Bonnie and Chet were married on April 30, 1951 and moved into a home 7 miles northwest of Yuma. One of Bonnie’s prized mementoes is a Mustain’s grocery tape totaling $30.00 for her and Chet’s first week’s groceries. The groceries probably lasted longer than that, as she included all the staples she needed plus a broom, dustpan, spices, and meat. Early on, Bonnie and Chet raised turkeys and worked for the Gisi Turkey Plant. Bonnie also raised chickens and sold the eggs to Mustain’s while her good friend, Adaline Baucke, sold her chicken eggs to Shop-All. Later Bonnie sold to both stores. Her sons remember phone calls from the store saying, “Bonnie, we are out of eggs!” It then became a mad family scramble to gather, clean, candle, sort by size, and package the eggs for the store. Chet made Bonnie an egg candler with a light bulb and metal anti-freeze can. That is all she used for many years. Bonnie and Chet were blessed with 3 sons, Mark, Craig, and Neal. As the boys grew they became active in 4-H and so did Bonnie. She served as a 4-H leader for 10 years and ran the 4-H concessions stand at the Yuma County Fair for many years. Bonnie was active in whatever her sons were active in: 4-H, raising cattle and pigs, basketball, and the beginning of the hog farm. In addition to the hobbies of her sons, Bonnie was also an active member of the Home Welfare Club, Okihi Club, Order of Eastern Star #117, and a member of the First Presbyterian Church. Bonnie was a true farm wife in every sense of the word; there was no job too big or too small for Bonnie. From dressing chickens, to pulling calves and pigs - if something needed to be done, she did it! 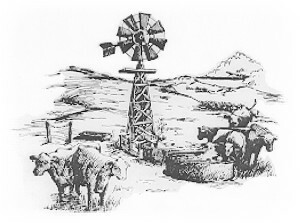 They remained on the farm, northeast of Yuma, until 1983 where they retired as much, as any farmer can retire. They moved into her parent’s home in Yuma on Cedar Street. While Bonnie loved life on the farm, she enjoyed being a town girl as well. She liked going for walks and getting coffee with her girlfriends. Another favorite pastime was square dancing to the music of Lemonade or out in the middle of Main Street during the fair or other town celebrations. In later years, Bonnie and Chet enjoyed traveling with the Heritage Club and one of their favorite trips was to Branson, Missouri. Bonnie is preceded in death by her husband of 59 years, Chet; son Mark; parents Ed and Edith Henik; parents-in-law Chester and Gladys Saxton; brother Edward; and granddaughter Kelsie and baby Kadrie. Bonnie leaves behind her sons Craig and wife, Beth; Neal and wife, Laura; grandchildren Cole, Reese, Jodi, Lauren, Sierra, Bailey, Ethan, Colby and Britt; great grandchildren Gracie, Penn, Lillian, and Carter; sister-in-law Evelyn along with a host of cousins, nieces, nephews, and friends. She will be remembered as a sharp witted, spirited, independent woman. A funeral service was held Monday June 4, 2018 at the First Presbyterian Church in Yuma, Colorado at 10:30 A.M. Interment to follow at the Yuma Cemetery. Dave Hoch officiated the service and Baucke Funeral Home of Yuma was in charge of the arrangements.